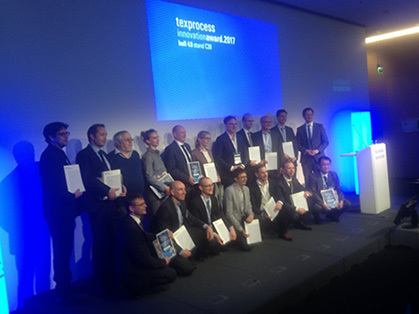 In the ‘new process’ category, the Bielefeld-based Dürkopp Adler company won with an online monitoring system for industrial production. The parameters checked by the system include productivity and the status of up to 1,500 sewing machines in a network. The data is then supplied in real-time. The 14th Techtextil Innovation Awards will be given at the concurrent Techtextil, International Trade Fair for Technical Textiles and Nonwovens.